﻿ Marley Coffee: Our Blue Mountain coffee bean story. (The Summer of 2013) - Marley Coffee was being sold by a coffee company in Newton Massachusetts who had office vendor supply contracts and sold a brewing package for office worker kitchen suites. They supplied coffee, cups, brewing machines on a weekly contract. MARLEY brand wasn't selling that well. It was too expensive compared to other coffee. The firm sought low cost at high coffee bean profit. Cost was an issue for Marley Coffee said the distributor. The company held the local distributorship for Marley brand. We asked about wholesale prices and surveyed the market. There are internet articles about Marley Coffee pop-ups configured on a bicycle to roll anywhere. This could be food truck competition the thought came to mind. AMAZON was host to a massive MARLEY COFFEE brand sales engine. So we were looking at it from many angles, testing an opportunity to market it. The Amazon pricing was higher than the one pound packages sold by Dunkin Donuts and brands like them in the Boston area. Breaking News, January 10, 2015. Fortune Magazine reported that the Founders Fund, a venture capital firm created by Peter Thiel the original eBay co-founder, has joined a $75 million funding round for Privateer Holdings. It was three years before the first retail cannabis store opened in Massachusetts. The new Founders Fund subsidiary named Marley Natural, sells marijuana. “Everything is named ‘canna-something’ or ‘mari-something,’ with a green and black logo and pot leaves,” he says. Cannabis will be a mainstream product, he insists, but it has to lose the cheesy subculture clichés first. A single portrait of Bob Marley, the company’s namesake hangs in the company's lobby in New York. We found the company financials posted on the Wall Street disclosure boards. It was trading under the stock symbol JAMN on the OTC (otcbb.com) exchange. We observed the share price (in 2013) it grew from $0.15 per share to $0.27 a share within a few months. The firm was jockeying for market-fit at the time. MARLEY brand shirts, caps and other items were being sold direct online by the MARLEY website. The Marley Coffee company had big ambitions. See the 2015 Annual Financial Report here. Let's start with the question: how do you get big money into a new untested company with a known brand name? The Marley Coffee company obtained a valuation report for the brand then shopped the concept around to investors who gave them cash in exchange for ownership in the firm. Why did they not go the IPO route? So how do you get stock in your company to trade? ANS: Don't even bother tackling the IPO unless your company sales are expected to be at least $50,000,000 (50 million) a year or you are valued for that much because going down the IPO path requires millions in expenditures that are better spent getting your company off the ground. For sole proprietors, partnerships or just plain startups, it is possible to finance your firm through a Massachusetts corporation model and authorize shares. Of course, you have to buy your shares from the Secretary of State's office to make them official tender. If your lawyer advises you to incorporate in a different state, you can consider it but you may have to go to court out of state if the need arises to defend claims. In Massachusetts you can form an LLC or Subchapter C or Subchapter S type corporation. The fee for a C type corp is $275 to authorize up to 275,000 shares of stock at a token par value price. LLC formulation seems best suited for "temporary projects" such as making a movie or publishing a record, but people are going that route for longer term operations due to how personal taxes are affected by the incorporation model chosen. Let's see what happens when you assign a PAR value of $1 to stock when forming a Massachusetts C corp.
Shareholders must pay the corporation for their shares. The consideration may be money or some other form of consideration such as tangible or intangible property. If 1,000 shares are authorized and you split them equally between four people, then each person would pay $250 to the Secretary of State office to own these shares and have 25% ownership in the company. Being a shareholder does not give you the right to directly manage a Massachusetts corporation but it can allow voting rights and the right to elect corporate officers. When all goes well with the business, your $1 share will become worth more. A profit of $4,000 would increase each shares value from $1 to $4 per share. That's a 400% improvement over where you started. Marley Coffee's path to the OTC Bulletin Board Stock Listing. 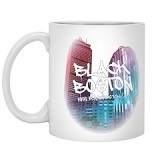 The JAMMIN JAVA CORP story by Boston writer @blackboston - an explanation based on research from public records and a little bit of dotting the I and T. We wrote it for AboutBlackBoston.com because they thought about selling the product and might just do that. The Company was initially incorporated in Nevada on September 2004 under the name "Global Electronic Recovery Corp." In February 2008, the Company changed its name to "Marley Coffee Inc." when it merged its then newly formed subsidiary, "Marley Coffee Inc." into the Company. On February 15, 2008 the Company entered into a lease agreement for 52 acres of coffee farmland in the Jamaican Blue Mountains. The farm is spread out over 52 acres of land. Due to the altitude and geographic location of the land on which the farm is located, the coffee produced can be classified as "Blue Mountain Coffee." In July 2009, the Company changed its name from Global Electronic Recovery Corp. to "Jammin Java Corp." when it merged its then newly formed subsidiary, Jammin Java Corp., into the Company. Product sales and shareholder's capital are funding the Marley Coffee Company and it appears that the owners of the Robert Nesta Marley brand leveraged few dollars to get the ball rolling. They had been growing coffee on the farm before. Now, Marley Coffee is an over-the-counter equity security under the symbol "JAMN." Look it up at http://otcbb.com. Marley Coffee began selling in Canada and now covers major international markets including Japan, and the United Kingdom. Amazon sells it and the QVC shopping network will market the product. In the states there is a network of distributors by state that offer it to their customers who are usually office and restaurants. We have found that these distributors don't carry all the Marley Coffee brand line such as tee-shirts, mugs, etc. but they can special order it. Marley Coffee may appear in stores such as OfficeMax at some point. In @blackboston's opinion, there doesn't seem to be a profitable upside for independent retailers getting involved in Greater Boston because brands such as Green Mountain, Dunkin and Chock Full of Nuts are on grocery store shelves. Target and Walmart sell a lot of coffee at bargain basement prices. Coffee is like gold. It is sold into an ultra-competitive marketplace. In Greater Boston, the local Flat Black Coffee Company competes with International Starbucks. The original Coffee Connection owner has jumped into the game again after selling all his coffee houses to Starbucks years ago. And Marley Coffee's mass-market approach reduces profits an independent reseller should expect to make because Marley Coffee ships product direct from their own web site, they sell it on TV and via Amazon, they represent themselves at trade shows; the Marley Coffee bean product is positioned as a premium brand. So what is the Marley Coffee competitive advantage? I see one and that is "Marley." Jammin Java Corp, doing business as Marley Coffee, is a United States (U.S.)-based company that provides sustainably grown, ethically farmed and artisan roasted gourmet coffee through multiple U.S. and international distribution channels, using the Marley Coffee brand name. Grocery retail channels are its mainline revenue channel, followed by online retail, office coffee services, food service and licensing. The Company intends to develop a significant share of these revenue channels and achieve a leadership position by capitalizing on the global recognition of the Marley name through a co-branding relationship with Marley Coffee, LLC ("MCL"). The "Live Forever" album was recorded live in concert at The Stanley Theatre on September 23, 1980. It was Mr. Marley's last known public concert. The Company entered into a license agreement with MCL, effective March 31, 2010 (the "Trademark License Agreement"), pursuant to which it acquired the worldwide right to use and sublicense, the intellectual property rights, including the Trademarks (hereinafter defined), relating to the late reggae performer, Robert Nesta Marley, professionally known as Bob Marley, including "Marley Coffee." MCL is a private limited liability company of which Rohan Marley, a director of the Company, is the beneficial owner of 33% of MCL and serves as a Manager. Fifty Six Hope Road Music Limited, a Bahamas registered international business company ("Fifty Six Hope Road"), owns and controls the intellectual property rights in and to the late reggae performer, Bob Marley, including the "Marley Coffee" (the "Trademark"). Fifty Six Hope Road granted a worldwide exclusive, terminable oral license to MCL to utilize the Trademark and for MCL to grant to the Company an exclusive, terminable sub-license to use the Trademark. Based on the analysis of DS Enterprises, management estimated that the fair market value of the Trademark License Agreement upon acquisition was $640,000. As of April 30, 2012, the Company had 5,112,861,525 (5 billion) common shares authorized and 76,744,150 (76 million) shares issued and outstanding, respectively. How much did it cost to start listing and selling the stock? We assume the founders paid out $76,000, to release 76 million initial shares for trade out of the 5 billion authorized share pool with the Par Value of $0.001 per share. And there was a cost to organize and strike the legal agreements between parties and authorities. A complete set of financial statements were posted online under the "JAMN" symbol at www.otcbb.com. The February 02, 2013 price is $0.27 per share. JAMN traded for $0.18 cents a share in August 2012. In summary, their SECRET to getting sophisticated investors to fund the Marley Coffee's company's growth was to get a really big valuation for the firm. The licensing of Bob Marley intellectual property was key.